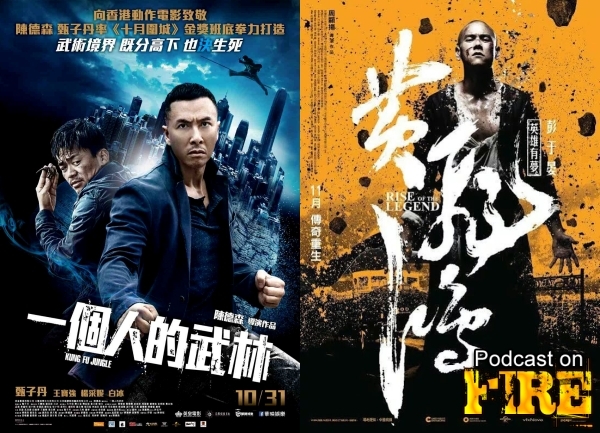 Welcome back to The Dynasty Report, this time tackling and discussing the 2014 high profile productions Kung Fu Jungle starring Donnie Yen and the latest movie featuring Wong Fei-Hung: Rise Of The Legend. No Jet Li this time around but a new Wong Fei-Hung so there’ll be talks of how this reboot fares. Hosted by Kenny B, with reviews and discussion of the movies by the doctor David Lam and live from Hong Kong, not in the run down, grimey cinema we named this show after, Paul Fox.